This lovely fine porcelain African-American wedding cake topper shows the bride sharing an intimate moment together on their wedding day. 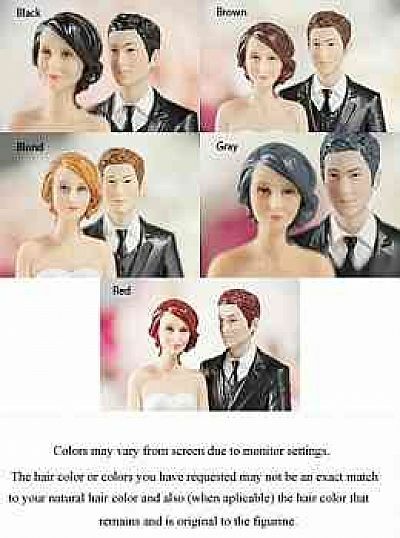 This will make a beautiful addition for your guestbook table, or to crown the top of your wedding cake. Handpainted. 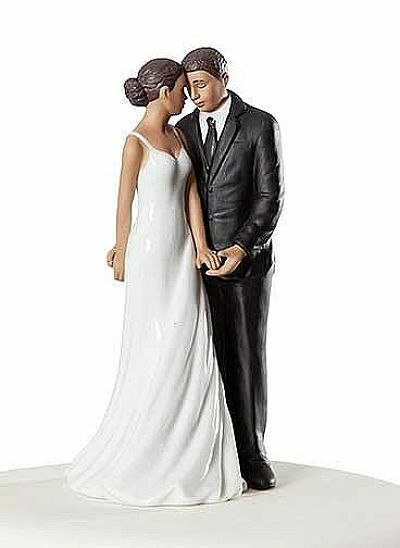 African American Ribbon Accent Wedding Cake Topper – Custom Colors!